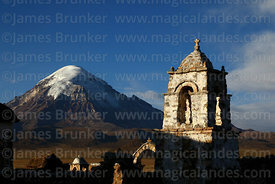 The peaks in the background to the right of the church are the Payachatas volcanos on the Chilean border. 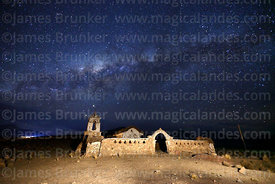 The lights on the left are the Bolivia border village of Tambo Quemado. 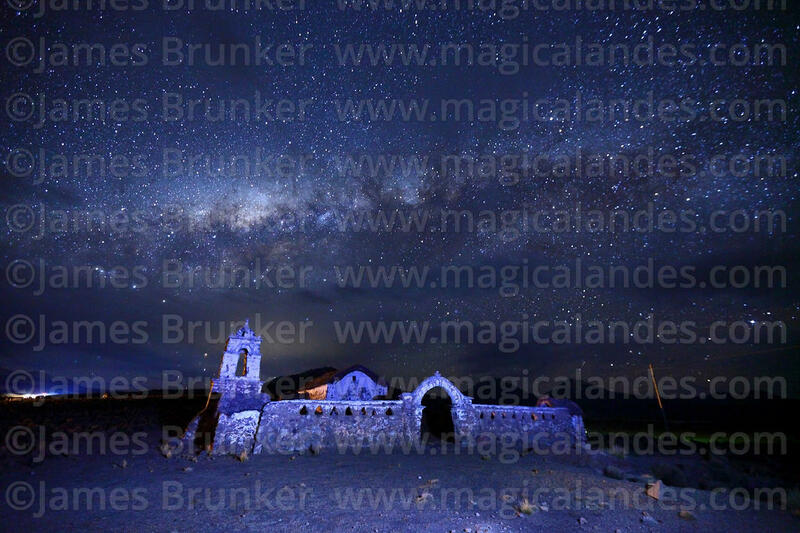 Other similar images with different light painting illuminations and white balances are also available.